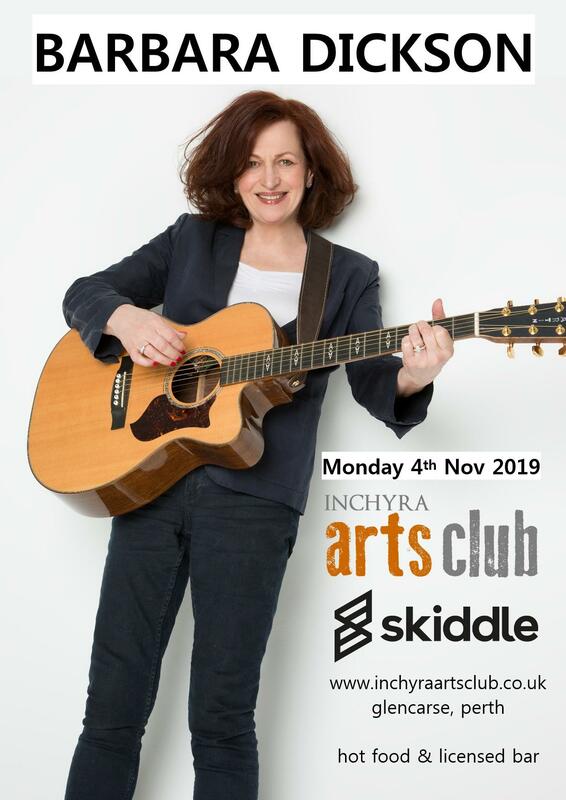 A fabulous chance to see this renowned Scottish artist in the intimate surroundings of the Inchyra Arts Club. Barbara Dickson has enjoyed huge success over the years with hits including ‘Answer Me’, ‘Another Suitcase in Another Hall’, ‘Caravan’ and the million-selling number one single, ‘I Know Him So Well’. As Scotland’s best-selling female album artist she has earned 6 platinum, 11 gold and 7 silver albums and cemented her status as one of the UK’s best-loved performers. Her successful stage career has included the roles of the original Mrs Johnstone in Willy Russell’s long-running musical, ‘Blood Brothers’ and as Viv Nicholson in ‘Spend Spend Spend,’ both of which have won her an Olivier award for ‘Best Actress’. Barbara was awarded an OBE by Her Majesty the Queen in the 2002 New Year’s Honours for her services to music and drama and she continues to record and to play to sold-out audiences. For this show, Barbara is joined by Nick Holland who first joined her touring band in the mid-2000’s playing keyboards and adding vocals on her ‘Full Circle’ album. Barbara and Nick recently started working as a duo with Barbara on guitar and piano and Nick on keyboards – adding harmonies to Barbara’s own wonderful vocals. They have performed this way in numerous venues including cathedrals, festivals and theatres and developed an intimate rapport with each other and the audience.